Divorce is challenging on many levels — and it becomes even more challenging if one or both spouses choose to fight out every detail in the courtroom. Mediation allows divorcing couples to deal with legal and personal issues in a less-formal setting. Both spouses must be willing to cooperate. At Murano & Roth, LLC, we have found, over and over, that mediation works in a wide variety of cases, because through mediation, you and your spouse have the power to make decisions for yourselves and your future. If mediation fails, it is very likely that a judge will decide for you. The success of divorce mediation hinges on a prepared client. We have seen the difference that informing and preparing clients can make in the outcome of mediation. We also have seen mediation fall apart because clients were unwilling or unable to properly prepare. The New Jersey attorneys of Murano & Roth, LLC work with you to fully prepare for mediation and give you the advice and support necessary to get the most out of the process. Do not react if your spouse acts up. Be rational. Although you can attend a mediation alone, it’s often more comfortable for clients to attend with their attorneys. 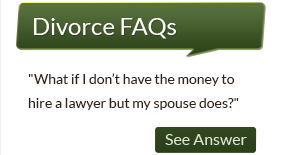 Since the process is designed to foster divorce FAQ page. Let us help you get the most out of divorce mediation. We guide you through the process with care and conviction. 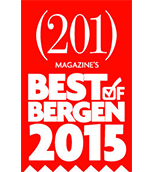 Contact Murano & Roth, LLC online or call us at 201.265.3400 to schedule your free 30-minute consultation.